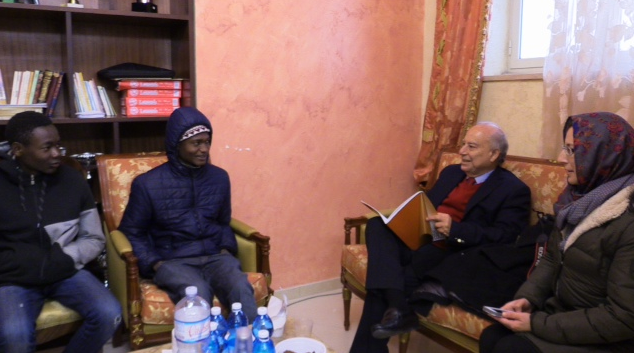 Young Ahmedu landed in Sicily in the last wintery days of 2014. He was following a long and illustrious list of names of visitors to this island which included Ulysses who on his way back from Troy battled the Cyclops by the port of Catania, philosophers like Goethe, musicians like Wagner, novelists like Maupassant, an American President, a German emperor and the King of Siam. And it was here, at the young age of 16, that Ahmedu Jalo from Gambia arrived in the port of Catania after traveling for one year and two months. In Sicily, at one stroke, officials had stripped him of his identity and dignity by putting him in the category of “illegal”. Being in that category, he was in limbo. He existed outside all the legally and socially recognized structures of Europe. Zealous officials would now do everything possible to isolate him from their societies while actively planning to send him back to Africa. Soon after arriving in Europe, his home became the pavements of Catania. It was cold, and he had no warm clothes. He foraged for food in rubbish heaps and drank as much water as he could to stave off his hunger. He may have frozen to death if a kindly Sicilian had not informed him about the central mosque that could provide shelter. That is where we met Ahmedu a few days later. The Imam of the central mosque, a cheerful and welcoming Arab, was taking us around the building. Ahmedu, like many other desperate immigrants before him, was helping to clean the mosque as a token of gratitude. Something about him had struck me. He had an air about him, the way he carried himself. His long journey from home had not demolished his poise and confidence. 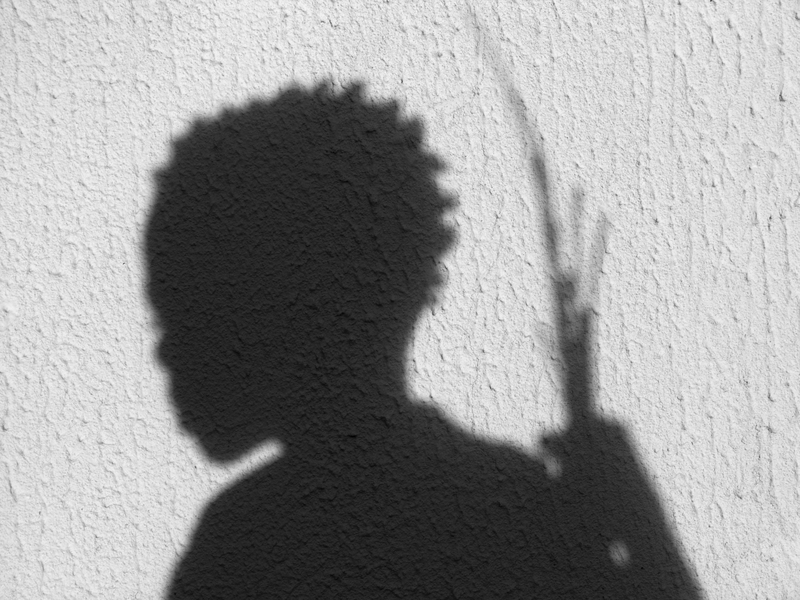 Despite his hardships and wearing borrowed threadbare clothes, Ahmedu was standing with a broom in his hand as if he were a warrior with a spear. I went up and talked to him. He seemed distant and defensive. When I asked him his name, he gave it mechanically, as if answering an official. I then said with a smile that my name is also Ahmed. We were connected, I said. There was a faint smile on his face. Beneath his poise, I sensed that here was an extraordinary man with an extraordinary story to tell. I was determined to interview him but he left shortly afterwards and when we arrived the next day, it was not certain if he would be there at all. Just as we were about to leave he turned up. He was reluctant to talk. Illegals know that talking to strangers can land them in trouble. We were persistent. We began our long interview with a tense Ahmedu holding the stage. The Imam sat through the interview leaving for short periods to answer calls and discreetly looking at his watch not quite sure why so much fuss was being made about this young man. Ahmedu said he was the eldest son, the pride of his parents, and had four siblings. When his mother and father separated his life changed. He was determined to make his fortune in order to re-unite his parents and help his siblings. He said, “I want something to make my family happy”. His father bade him well, and he set out on a hellish journey without documents or money that took him through the vast expanse of Africa through Senegal, Mali, Burkina Faso, Niger and Libya. Ahmedu recounted the horrors he encountered on the way, of the times he was jailed by corrupt policemen, of the pain he felt in his body due to the hunger in his stomach. There were many times when all he could feed himself with was water. When he could, he found employment as a helper to a barber, hawking water, or serving food which gave him enough money to get to the next destination. Sometimes he could save something to send to his father always with a request to include his mother. He would also try to ring when he could so that he would have news of his family. He also talked of a Libyan driver who was good to him once he reached Libya. He struggled merely to survive, never quite sure when he would be able to continue his journey towards his ultimate destination of Europe. He repeated two words as he talked, “not easy”, “not easy”. He recounts the climax to this nightmare journey when he was crammed with about 100 people into a small open boat on the shores of North Africa, nearly drowning in the process. The passengers were heading for Europe with no money and no papers. What they had was nothing more than the dreams that travelers carry with them. Water was scarce and the food tasted of petrol. Ahmedu felt sick. Very soon the boat developed leaks. The passengers were asked to use their plastic water bottles to bail out the water before the boat sank. Cold, hungry, confused and uncertain Ahmedu was rescued by the Italian coastal authorities and found himself in Sicily. Without an official document or a single dollar in his pocket, Ahmedu’s only concern was that he had not spoken to his family and did not have the means to do so. It was playing on his mind and kept coming up in our conversation. When we gave him the means to ring home, he was visibly moved. He became like a child who could now re-connect with his parents; all would be well. When I asked him what kept him going he mentioned his faith but most of all the thought of doing something that would help his family and bring his parents back together again. The thawing – or re-humanizing – of Ahmedu as we got to know each other was a wondrous testament to the power of the human spirit. It was almost as if someone far away began to come into focus, someone almost faded began to take on sharp features. As he went deeper and deeper into his story and as my team began to show visible signs of emotion at what they were hearing a slow transformation began to take place in Ahmedu. His voice became slightly stronger, his posture straighter and he began to show signs of a smile. We listened to Ahmedu’s tale as if in a trance. His courage and faith in the face of what looked like impossible odds and commitment to his family could not but fail to move us. Amineh with her compassionate mother’s heart had been reduced to tears by this time as she thought of her own son Ibrahim who was about Ahmedu’s age. Even the confirmed bachelors Frankie and Harrison had a look on their faces that showed how profoundly moved they were and Frankie’s eyes were glistening. At the conclusion of the interview, I embraced Ahmedu like a son and he thanked us, repeating I will never forget you. Amineh quietly gave him something and he repeated, I will never forget you. I asked him not to forget to be cheerful. A surge of confidence came to Ahmedu and flashing a broad smile he reached out to Frankie and pulled him towards himself in an embrace. I was so happy to see Frankie and Harrison now happily posing with him as if they were fraternity brothers on a Western university campus. At that moment our differences ceased to separate us. Americans and Africans, Christians and Muslims, legals and illegals, we all belonged to a common humanity. Ahmedu’s story raised some fundamental human issues that concern all of us, including the very idea of survival. If you were a spirited healthy young African male, deeply conscious of your position as the eldest son of a family that was struggling with poverty, lived in a country where almost half the population existed under the internationally recognized poverty line and were ruled by a president known for his cruelty, tyranny and obsession with witchcraft, you would probably be thinking like Ahmedu. You would leave to seek your fortune elsewhere with the idea of returning to help your family. If you were desperate enough nothing would stop you, not even the thought of crossing the Sahara or the dangerous Mediterranean Sea without money or official documents. Yet to too many in the West a young man like Ahmedu represents an Islamic threat in which fanatic Muslims are hell-bent on re-conquering parts of Europe to impose their Islamic caliphate. As for the argument that immigrants simply mean more recruits for terrorists, not once in the two sets of interviews that we had did Ahmedu mention words like sharia or jihad. The reality is that right-wing movements are growing exponentially across Europe, and they derive their life-blood from the fear of immigrants and Islam. PEGIDA, the anti-Islam movement, which began in Germany is able to gather vast numbers of demonstrators and is set to create similar movements throughout Europe including the UK. In this environment of fear and distrust around Muslims, there have been an alarming number of violent attacks both by and against Muslims reaching a shocking climax with the recent murders in Paris. But without knowing it, Ahmedu had friends in high places. Pope Francis traveled to Lampedusa in July 2013 to highlight the plight of the immigrants. This was the pontiff’s first visit outside Rome and therefore highly symbolic. He held mass in the island’s sports stadium that was a reception center for many of the immigrants arriving there. In the mass he said: “Immigrants dying at sea, in boats which were vehicles of hope and became vehicles of death. Since I first heard of this tragedy a few weeks ago, and realised that it happens too frequently, it has constantly come back to me like a painful thorn in my heart. So, I felt that I had to come here today, to pray and to offer a sign of my closeness, but also to challenge our consciences lest this tragedy be repeated. Please, let it not be repeated!” The Pope also threw a wreath of flowers into the sea as a sign of remembrance for those who died immigrating to Europe and he met a number of Muslim migrants about to begin Ramadan. He talked with pride of the time a thousand years ago when Christians, Muslims and Jews could live in harmony in the spirit of La Convivencia, or co-existence. He made it a point of having street signs in Italian, Hebrew and Arabic in the old Jewish and Arabic quarter. To drive home his point the Mayor emphasized that he was merely reflecting the sentiments of his people. He had been re-elected four times with over seventy percent of the electorate voting for him because they agreed with me “saying what I say.” This was the Sicilian response. Here was the paradox of Europe: the rich, comfortable and affluent nations of the north had ceased to look on immigrants as fellow human beings. Immigrants were being forced into categories that denied them a legal status and effectively the right to even exist in their countries. Here, in contrast was Sicily, commonly seen in the US and Europe as the caricature of a perennially backward, sleepy and rustic society dominated and infiltrated by gangsters. It was the land of Puzo’s The Godfather, the place where Michael Corleone was sent to lie low after he committed murder in the US; indeed there is a town carrying the Corleone name. Yet it was this very same “backward” Sicily that still retained the spirit of compassion and humanity for their fellow beings. In spite of high unemployment and economic stagnation, it still accommodated the waves of immigrants. If it could not do very much to alleviate their suffering, it would not add to their burdens by deporting them or locking them away. Even the officials hinted they were not entirely in agreement with the strict policies of the EU. 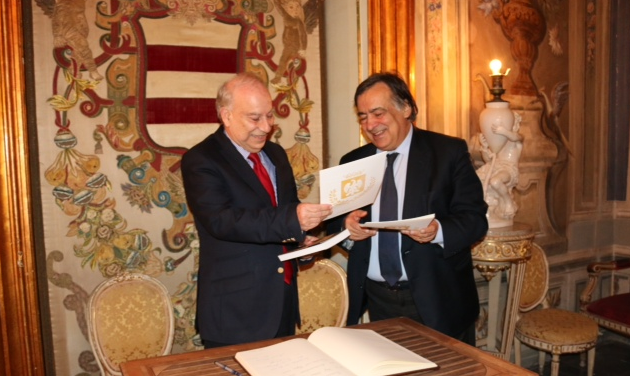 The remote and powerful authorities that ran immigration policy in the EU – and the US – had much to learn from Sicily. In a practical sense, Europe is already facing a huge problem in the waves of immigrants arriving ceaselessly. It is going to get worse considering that the turmoil in Asia and Africa, which is the underlying cause of the migrations, continues unabated. A practical, humane and long-term policy must therefore be urgently introduced. Letting people die in the Mediterranean or locking them in airless containers is no answer. Islam and immigrants are at the center of the point where the ideas of the Pope, the PEGIDA movement, the Mayor of Palermo, the murderers in Paris and notions of a civilized, compassionate Europe concerned about human rights intersect. Young Ahmedu has arrived in a world more complex and changing than he can ever imagine. 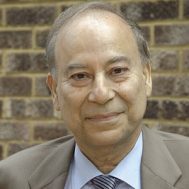 Professor Akbar Ahmed, Ibn Khaldun Chair of Islamic Studies, American University, Washington, D.C., has completed the film "Journey into Europe" and an accompanying book with the same title (Brookings Press).